An hours-of-service (HOS) exemption for certain mobile crane operators has been renewed for another five years. The Federal Motor Carrier Safety Administration (FMCSA) announced it will renew the Specialized Carriers & Rigging Association (SC&RA) exemption from the 30-minute rest-break rule. The renewal is effective through November 1, 2023. The SC&RA’s exemption is for drivers of cranes with a lifting capacity of more than 30 tons. Among the reasons for the exemption request was that the HOS rules create complications because it is a challenge to find suitable parking when crane drivers go off duty. The 2016 exemption excused drivers operating mobile cranes with a rated lifting capacity of greater than 30 tons from the requirement to take a 30-minute break. SC&RA said that the exemption affects about 65,000 of the 85,000 trained and certified mobile crane operators in the United States. The public can submit comments on FMCSA’s decision to renew through the Federal eRulemaking Portal using Federal Docket Management System number FMCSA-2016-0096. 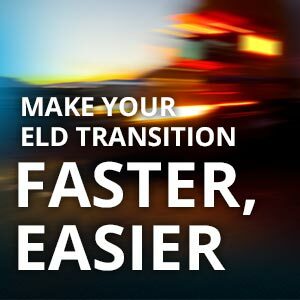 J. J. Keller® Driver DataSense® Plus with ELD Rollout Service expertly manages every step of your ELD transition process, from end-to-end rollout services to internal change management and beyond.